Singapore, 22 July, 2015 – Hot on the heels of raising millions in fresh funding from Vertex Venture Holdings, leading parenting media house, theAsianparent today announced a hiring spree to improve operations, product and scale across more countries. The company, led by CEO and founder Roshni Mahtani, has recently stepped up its pace by entering the India market via the launch of theIndusparent.com with plans for Sri Lanka on the anvil. Among theAsianparent hires are Rico Wyder, appointed as the Regional VP of Product, and Anand Mishra, VP of Data Science. Both executives join theAsianparent with solid technology backgrounds, with Rico bringing in his valuable start-up experience co-founding mobile food delivery service, Foodpanda and Anand coming in with extensive qualifications in the field of data science. “Going forward, we are focused on integrating technology such as data science practices and machine learning into social network and media. We are taking a serious mathematical approach to provide parents with the most personalized, useful and relevant information. We believe through our focus on parents with a technology-driven approach, we would be able to scale at a rapid pace to serve hundreds of millions of parents in Asia and continue to be one of the fastest-growing companies in Singapore,” said Roshni Mahtani, CEO and founder of theAsianparent. The company also strengthens its commitment in expanding operations in various key markets across Asia, with the introduction of three new country leads – Prashant Jain, Country Manager for India; Natthanathorn Ford, Country Manager for Thailand; and Ameetess Dira, Country Manager for Philippines. “Talent plays a significant role in our company’s success. Part of our growth strategy is to work with like-minded leaders, as with our team of creative, passionate, and solutions-focused individuals across various offices in Asia. We welcome our new senior leadership hires who will help us achieve our long-term expansion targets,” said Roshni. theAsianparent employs 75 full-time employees and plans to scale up to 100 people by end of quarter 3. The company was founded in 2009. A creative person who thrives on innovation, Rico brings to the table his business acumen, complemented by an extensive knowledge on the fast-changing mobile technology space. At theAsianparent, he will be growing the product team to deliver a suite of solutions focused on the parenting vertical. 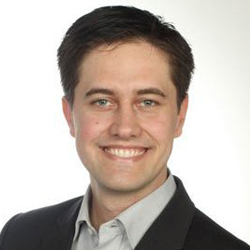 Most recently, Rico was Director of Sales APAC at Fiksu, a data-fueled mobile marketing solution provider that connects brands, agencies, and app advertisers to targeted mobile audiences. 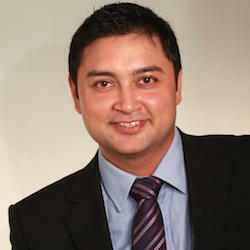 Rico was instrumental in growing Fiksu’s APAC operations – during his tenure, he helped to open 3 offices in the region. He was also co-founder of Rocket Internet-backed Foodpanda during its initial Southeast Asia launch, scaling the company from a 2-people start-up to over 100 people across 6 countries. Rico graduated with a degree in Business Administration and Management from the University of St. Gallen. Anand Mishra is an expert in analytics, focused on leveraging the power of data to drive business decisions. He will utilise his data science competency to increase user engagement across theAsianparent’s properties. Previously Senior Manager in the analytics team of InfoEdge (Naukri.com, Jeevansaathi.com), Anand is known for his result-oriented approach, which helped the company to improve email response time by 250 percent over the course of 3 months. He also worked with Opera Solutions, leading multiple engagements with global clients and delivering high impact solutions across industries. Anand graduated with B.Tech and M.Tech degrees in Electrical Engineering from IIT Kanpur. With over 18 years of experience in sales, marketing, media, operations, finance, HR and IT, Natt has now come onboard as theAsianparent’s Country Manager for Thailand. Known for her sales acumen and her extensive experience in growing Thai operations for companies focused on APAC expansion, Natt will be coming onboard to replicate her success for theAsianparent Thailand. Natt was most recently General Manager of iCar Asia for Thailand, where she grew the number of listings by over 200% within just 3 months of joining the company. 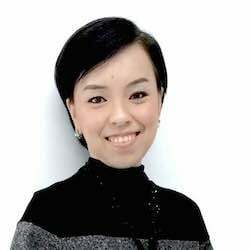 Previously, she was Sales Director at PropertyGuru Thailand, Asia’s largest online property site, where she was instrumental in building up the display Ad sales team. Natt graduated with a Masters Degree in E-business management from Rangsit University . 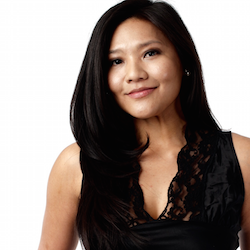 As country manager for Philippines, Ameetess brings with her tri-media experience in the Philippines coupled with global digital expertise acquired during nearly a decade of working in the United States. As Country Manager for Philippines, Ameetess will be in charge of growing theAsianparent’s local presence and replicating her previous success in the digital media realm. Most recently, Ameetess was a partner at Metrograde Corporation, where she built up the company into a nationwide powerhouse. As a Client Account Director at Ionic Media in Los Angeles, she also managed integrated strategy for accounts such as Disney Movie Club and the Oprah Store. She’s also known for her work in expanding Digital Dojo Media Works from a production house to a one-stop shop for all marketing needs, handling multinational clients like Nestle and Pfizer Visine. Ameetess graduated with an AB in Communications from Ateneo de Manila University. Prashant Jain is India’s new country manager and will be in charge of growing theIndusparent – the Indian iteration of theAsianparent brand. Prashant will also use his experience to support other APAC markets for matters relating to user traffic, marketing, and content strategy. Previously, Prashant headed up marketing at moneycontrol.com, Asia’s largest financial and business portal. He was instrumental in facilitating the transition and steering the company towards their mobile-first strategy. Under Prashant’s guidance, English entertainment TV channel BIG CBS became one of the top 3 Cable Channels in India in English genre within 3 months after its launch. 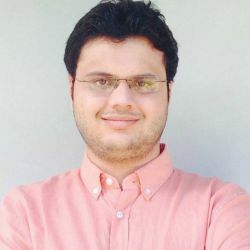 In addition, he also worked on personal finance start-up ArthaYantra.com, where he grew the customer base from 300 to 20,000 within its first year of launch. Prashant graduated with an MBA from the Indian School of Business. SINGAPORE, 21 May, 2015 – According to a first-time survey carried out by theAsianparent Insights on the travel habits of Singaporean families, over 80% of the families are headed away from the island for this year’s June holidays. Their top destinations are: Australia, Hong Kong, Taiwan, Malaysia, and New Zealand. While the survey revealed that that over half of these travellers are ready to spend a tidy sum on their June holidays – SGD$500-$1499 per person – it also indicated that they would do so in an extremely savvy manner. It was found that families have varying booking patterns when engaging travel services. While McKinsey and Co’s latest report on service innovation shows an increasing number of travel websites and aggregators worldwide, our survey results indicate that Singaporean travellers are not entirely convinced by them. Interestingly, the survey found that although 53% of respondents book transportation services such as airline and bus tickets directly through company websites rather than through aggregators, only 38% of respondents book directly through hotel or holiday home websites. Aggregators in the accommodation sector seem to fare better than those in the transportation sector in terms of trust and reliability, with 45% of travellers choosing to book through travel deal and comparison sites such as Groupon, Zuji, and Agoda; and the rest booking through travel agencies. As far as excursions are concerned, 49% travellers prefer to book directly from the company’s website. And what should the hotels provide? The survey also revealed that the top “must-have” amenity for the Singaporean holiday-maker is free Wi-Fi at 76%, followed by kids amenities at 69%; complimentary breakfasts at 68%; and close proximity to local attractions at 68%. Almost every Singaporean family’s travel bag holds in it over-the-counter medicine for children, mosquito repellent, bandages, antiseptic cream, and sunblock. The cautiousness of the traveller is also reflected in the high demand for travel insurance. Interestingly, the survey found that over 79% of respondents will choose to purchase travel insurance of some form. For companies providing travel packages and solutions, bundling it with insurance could provide a convenient solution for travellers, who might otherwise need to purchase it separately. In 54% of the families’ surveyed, parents remain the key decision makers when it comes to planning family holidays. Only 22% involve their kids in decision-making. In the remaining cases the holiday decisions are made solely by either one of the parents. For more detailed findings, please see the attached infographic below. Insights is the market research arm of theAsianparent, Southeast Asia’s #1 digital parenting destination that reaches over 6 million mums every month. We are the leading market research team for understanding the parent demographic, uncovering the latest trends, concerns, and consumer preferences. Our publications provide facts that both businesses and parents can base their strategic and parenting decisions on. For more information, please visit tickledmedia.com. McKinsey & Company. 2015. Service innovation in a digital world. [ONLINE] Available at: http://www.mckinsey.com/insights/operations/service_innovation_in_a_digital_world. [Accessed 19 May 2015]. SINGAPORE, 19 March, 2015 – theAsianparent, a leading multi-channel source of information on Asian-focused parenting today announced a multi-million dollar investment from Vertex Venture Holdings Ltd. The investment from Vertex will bring the company’s total funding to $4.5 million. Founded in 2009, theAsianparent has rapidly grown into becoming Southeast Asia’s leading online resource for parents. With a readership base of over 6 million mothers across the region, theAsianparent has presence in Singapore, Thailand, Indonesia, Philippines, Malaysia, and plans to launch in India under the IndusParent brand. “This new round of investments from Vertex and prominent angels, Teruhide Sato, William Klippgen and Hellmut Schutte, will help us expand theAsianparent’s presence in other key markets such as India and Sri Lanka. As the parenting demographic continues to grow, we realise that each country across the region has its specific needs in terms of the availability of a centralised source of information on parenting,” said Roshni Mahtani, CEO and Founder of theAsianparent. With a sustained growth in revenue throughout its five years of operation, theAsianparent offers marketers one of the most targeted and largest platforms for tapping the “mums” segment. 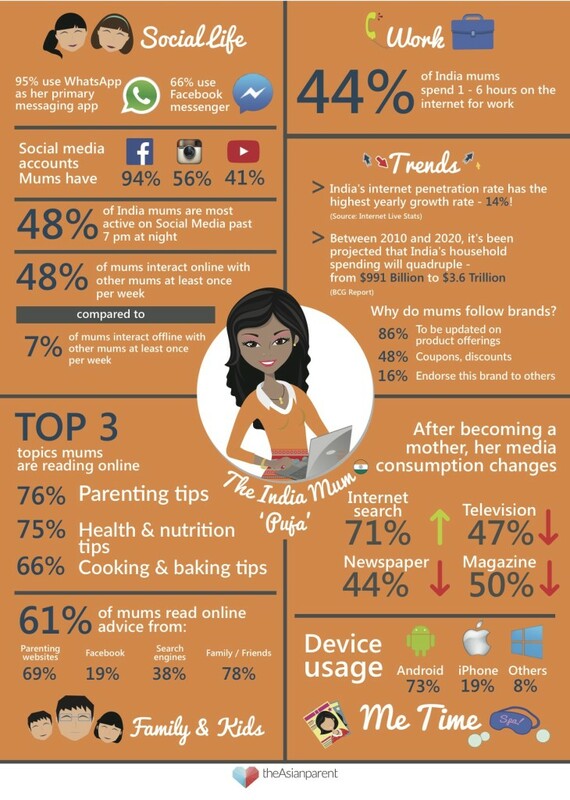 According to theAsianparent’s 2014 Digital Mum Survey, Asian mothers influence 89 percent of all household purchases. 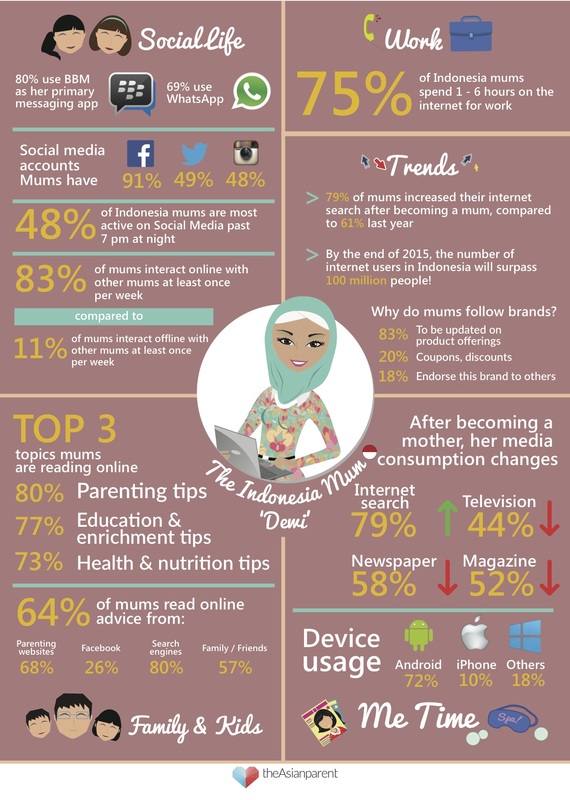 “Asian mothers have gone digital, with over 80 percent of women in Singapore, Thailand, Malaysia and Indonesia increasing their usage of the Internet once they become mums. These mothers are also going online via their smartphones. With theAsianparent accessible through all these non-traditional communication channels, we are able to provide marketers a more targeted approach in reaching the mum audience,” Mahtani added. “Media has drastically evolved over the past decade. Content have become more ubiquitous – accessible in a variety of platforms and reaching audiences anytime, anywhere, when they need it. theAsianparent represents the new breed of media outlets with a non-traditional business model that offers great value for marketers, while providing highly-relevant information for very important demographics such as parents ,” said Chua Kee Lock, Group President and Chief Executive Officer, Vertex Venture Holdings Ltd.
theAsianparent generates it revenue from custom advertising and market research and employs over 60 people across Asia. Vertex Venture Holdings Ltd (Vertex Group) is a wholly-owned subsidiary of Temasek Holdings, investing in emerging companies and leading venture capital funds throughout Greater Asia and the US. Since 1988, the Vertex Group has been helping passionate entrepreneurs to build great global companies and helping them realise the intrinsic values of their companies through strategic listings on key capital markets in the US, Europe, Singapore, Hong Kong and Taiwan, and through acquisitions by industry leaders. The Vertex Group has a base in Singapore and presence in Beijing, Shanghai (China), Taipei (Taiwan), Bangalore (India) and the Silicon Valley (USA). SINGAPORE, December 3, 2014 – How secure do parents feel when they allow their children access to devices such as smartphones and tablets? In a pioneer study of its kind in the region, theAsianparent Insights, Southeast Asia’s leading parenting portal, answers this question and reveals insights on the parental content censorship, motivations and behavioural trends regarding children’s device usage. The results of the study, entitled “Mobile Device Usage Among Young Kids: A Southeast Asia Study,” are based on a representative sample of 2,714 parents from Indonesia, Malaysia, the Philippines, Singapore and Thailand with at least 3,917 children aged between 3 and 8 years. This study was commissioned by Samsung Kidstime™ in collaboration with theAsianparent.com and helps fill the gap in research in the region by exploring how children are exposed to devices and what parents are doing to monitor their usage. The majority of parents in Southeast Asia (98%) allow children to use smartphone or tablet devices. 41% of children are most likely to use a device for more than 1 hour per sitting. Although parent’s allow their young children to use devices, they are worried about the negative effects of device usage on children’s health (92%), the risk of children becoming addicted to devices (90%) and exposing them to inappropriate content (88%). They are also concerned about high billing charges due to in-app purchases made by their children (67%) and damage to devices (60%). Parents allow children access to devices predominantly to supplement their education, with 80% giving this topmost importance. The other motivators include giving children early exposure to technology (68%), providing entertainment (57%) and keeping them children quiet/busy (55%). Children use devices mainly for gaming, videos and educational apps. However, the type of content consumed changes by age. While children aged 3-5 years mostly consume educational apps, videos and games, children aged 6-8 years start playing more games in relation to using educational apps and watching videos, thus, contrasting with their parents’ primary motivation (supplement to education). Children also tend to use devices most frequently at home and least frequently in school: almost the entire sample of parents, 99%, allow children to use devices at home, compared to the 17% who allow children to use devices in school. 94% of SEA parents wish their device included parental control mechanisms. The most requested parental control features are setting usage time limits (72%), in-app purchase blocking (67%) and monitoring of children’s usage or progress (66%). For a more detailed account of the findings, see the attached full report infographic which reveals detailed insights on the behavioural trends among parents and children in relation to children’s device usage. Commissioned by Samsung Kidstime™, the “Mobile Device Usage Among Young Kids: A Southeast Asia Study” report was published in November 2014 by theAsianparent Insights. Tickled Media Pte Ltd is the largest digital parenting publishing house in Southeast Asia. Headquartered in Singapore since 2009, the company runs theAsianparent.com, Kidlander.com and Pregnant.sg. The company’s flagship brand, theAsianparent.com, is Southeast Asia’s #1 digital parenting destination and reaches over 5 million mums in the region. The company is backed by venture capital from LionRock Capital, Tigris Capital and prominent angel investors. For more information, please visit www.tickledmedia.com. The question was enough to intrigue 27-year-old new mum Cynthia Ng to join theAsianparent.com’s new Q&A community, theAsianparent Groups. Launched today, theAsianparent Groups is getting Asian mums to confess, ask questions and answer from firsthand experience, all done in a positively candid and supportive environment. This mum-focused Q&A community caters to various mum profiles — perfectionist Tiger Mum, hands-on Helicopter Mum or the enterprising work-at-home mum — and engages them in sharing their vast parenting knowledge with each other. “I have had many bouts of insecurity about being a working mum while struggling to raise a kid who saw her nanny more as her mummy. I must admit that I was too ashamed to share them with anyone, not even my husband,” expressed Cynthia. “Having a nanny is such a cultural issue as well, since I was expected to stay home instead of returning to work after maternity leave. I’m beginning to worry that my jealousy toward the nanny is a reflection of my inadequacy as a mum because I continued to work. I’m glad there’s a place where I can voice out my problems and get helpful advice from fellow mums who understand my predicament,” she added. Membership to theAsianparent Groups is free and mums can easily log in via Facebook, Google+ or email. 1. Discover and join thousands of mum-focused local groups. Mums can choose from over 20 family-specific categories which host thousands of groups tuned to their interests. A mum-to-be, for example, can join the pregnancy category and start following groups on labour, gyneacologists or even recommended confinement practices. 2. Get answers to the most pressing questions by topic. Mums can simply scroll down theAsianparent Groups homepage to view the most recently updated questions and answers. They can also use the search function which will curate all relevant answers across the site, even groups that they have not joined, and allow them to discover new relevant groups to participate in. 3. Ask private questions without a worry. We protect users’ privacy. theAsianparent Groups is a safe and trusted platform. Mums can post their questions publicly or anonymously and let the community help them. They can also reply to questions anonymously, as well as privately join any groups of their choice without worrying about anyone finding out that they joined a group. 4. Become the resident mum expert and build your fanbase. If a mum can’t find a group that suits her need, she can also create a new one and invite all her friends to join it. Now she can be the resident mum expert! More than just a sleek and organized Q&A site, theAsianparent Groups is a supportive and positive environment where mums who share similar passions and concerns converge and engage with each other. The community accompanies mums throughout their journey, giving them a milieu where they can be free to be mums, wives, friends, colleagues and, simply, women. Visit http://groups.theAsianparent.com to join in the fun! Tickled Media Pte Ltd is the largest digital parenting publishing house in Southeast Asia. Headquartered in Singapore since 2009, the company runs theAsianparent.com, Kidlander.com and Pregnant.sg. The company’s flagship brand, theAsianparent.com, is Southeast Asia’s #1 digital parenting destination and reaches over 4 million mums in the region. The company is backed by venture capital from LionRock Capital, Tigris Capital and prominent angel investors. For more information, please visit www.tickledmedia.com. SINGAPORE, July. 25th, 2014 – How do Singaporean mothers feel about their bodies and their appearance? A recent survey conducted by theAsianparent.com, Asia’s #1 parenting portal, reveals deep insights about how mothers really perceive their bodies and appearance. 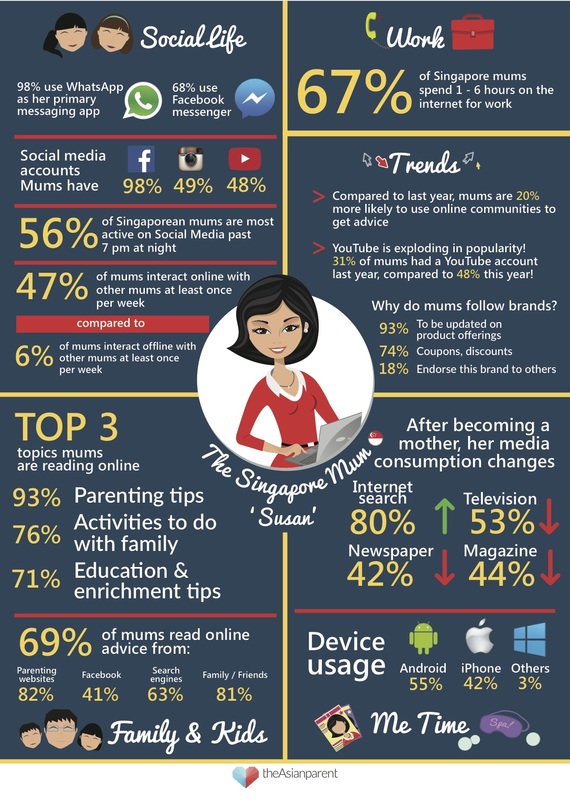 The 350 women surveyed are Singapore based mums aged 21-50, with 44% between the ages of 31 and 45. According to survey results, 99% of mothers have at least one, or more, body areas of concern. The most common problem area that 67% of mothers agree on includes the stomach, muffin top and love handles. Uneven tone, dark patches and pigmentation problems make up the top facial concern that affects 63% of mothers surveyed. Exposing more of the insights, theAsianparent has discovered that 60% of mums spend 10-30 minutes daily on their beauty routine. Furthermore, 53% of mothers feel pressure to look younger, while up to 55% of mums have considered a non-invasive procedure. For a more detailed account of the findings, scroll to the bottom for theAsianparent’s infographic which uncovers mums’ beauty secrets, routines and concerns. Tickled Media Pte Ltd is the largest digital parenting publishing house in Southeast Asia. Headquartered in Singapore since 2009, the company runs theAsianparent.com, Kidlander.com and Pregnant.sg. Their flagship brand, theAsianparent.com is Southeast Asia’s #1 digital parenting destination and reaches over 1 million mums in the region. The company is backed by venture capital from LionRock Capital, Tigris Capital and prominent angel investors. For more information, please visit www.tickledmedia.com. Singapore, June 19, 2014 – theAsianparent.com, Asia’s #1 parenting portal, is proud to announce its new hire, Carla C. Perlas, for its recently launched Philippine edition as editor-in-chief. This dynamic mother-of-one brings with her over 11 years of in-depth media experience and is committed to discovering creative means to breathe more depth and life into theAsianparent.com’s parenting stories. 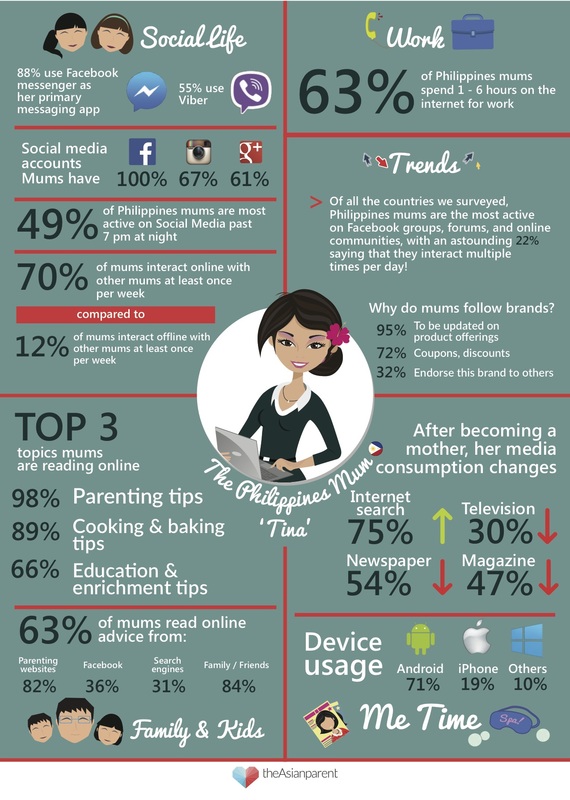 “According to the 2014 ASEAN Digital Mom Survey conducted by theAsianparent.com, 73% of Filipino women increase their Internet usage once they become moms, while 74% turn to parenting websites, search engines and social media for parenting help. theAsianparent.com is a powerhouse in the parenting publishing arena in Southeast Asia, and now that it has launched here, it will undoubtedly become a primary parenting resource for Filipino parents,” Carla opines. “I’m a first-time mom, so I find it exciting to learn from experts and like-minded parents about their own parenting techniques and advice, and to share this wealth of information with fellow parents who are thirsting for trusted solutions on how to raise happy and confident children,” she acknowledges. Carla, formerly the Editor-in-chief of Celebrity Mom Magazine, has a deep understanding of media having handled a wide range of genres from food to fashion to parenting. She pioneered the Grammar Police!, an online community of notable print and digital editors in the Philippines. Being educated and trained in different schools around the globe from Osaka to Kenya, Carla is profoundly cosmopolitan in her views and lends a diverse international perspective to her work. Tickled Media Pte Ltd is the largest digital parenting publishing house in Southeast Asia. Headquartered in Singapore since 2009, the company runs theAsianparent.com, Kidlander.com and Pregnant.sg. Their flagship brand, theAsianparent.com is Southeast Asia’s #1 digital parenting destination and reaches over 1 million moms in the region. The company is backed by venture capital from LionRock Capital, Tigris Capital and prominent angel investors. For more information, please visit www.tickledmedia.com. SINGAPORE, May 29th, 2014 – Southeast Asia’s #1 parenting portal, theAsianparent.com, extends its reach with a successful launch in the Philippines on May 28th, 2014. The website already reaches 1.2 million Asian mums in Singapore, Malaysia, Thailand, India and Indonesia monthly. Through its foray into the Philippines, theAsianparent.com continues its trend of steady growth in providing comprehensive parenting content across Asia. 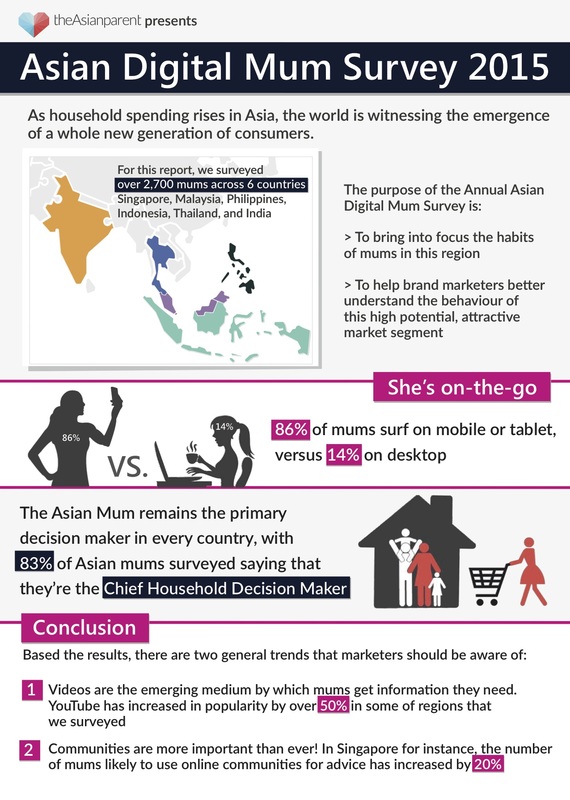 The Philippine launch commenced with the big reveal of the ‘2014 ASEAN Digital Mom Survey,’ highlighting the emerging trends of the ASEAN mom’s online behaviour, Internet consumption and social media habits. 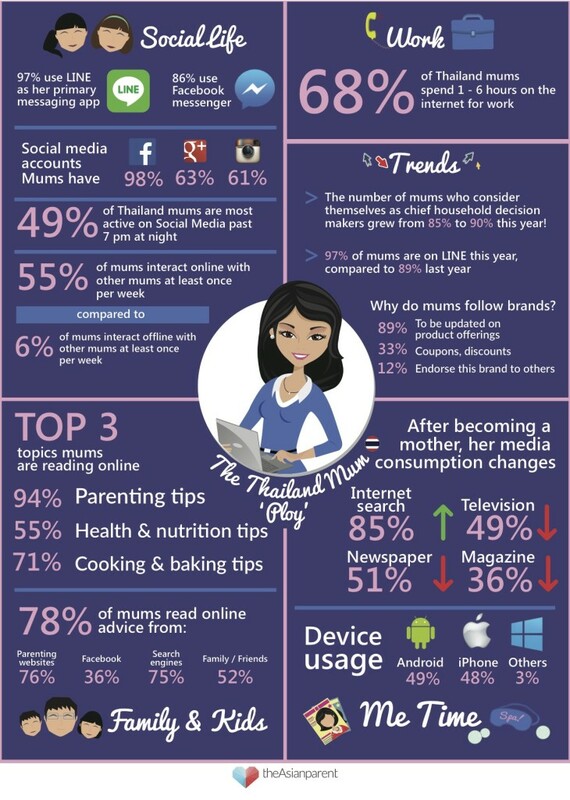 The report was based on in-depth market research data from over 10,000 moms in Singapore, Thailand, Indonesia, Malaysia and the Philippines. Following the report was an engaging panel discussion and Q&A session with beloved celebrity mom Cheska Garcia-Kramer and three influential bloggers, Martine de Luna, Frances Amper Sales and Fleur Sombrero. The four women formed a formidable panel of Filipino “digital mums” who validated the report’s findings by sharing personal observations of their Internet use and behaviour. “The power of social media is really great, but it also entails great responsibility. I only share products that I really use,” remarked Cheska on the topic of promoting brands through her social media accounts. Her family fan page, Team Kramer, has over 1.2 million likes, while her Instagram profile has over 500,000 followers. The launch exceeded expectations with a remarkable turnout of over 80 brand marketers who were keen on learning how to effectively market to the Filipina mum and receive noteworthy insights from the panelists. theAsianparent’s mobile-friendly Philippine edition has a wealth of updated and well researched information for parents who aim to provide the best care possible for their families with topics ranging from pregnancy to smart ways of handling rebellious teens. Besides tackling tough parenting issues, the website is filled with fun posts, as parents can flip through galleries of irresistibly cute sleeping newborns or sift through a plethora of delectable Filipino inspired recipes to feed the family. L-R: theAsianparent.com Philippines chief editor Lacar Perlas, celebrity mom Cheska Garcia-Kramer, blog coach Martine de Luna, Tickled Media CEO Roshni Mahtani, www.mommyfleur.com’s Fleur Sombrero and www.mommytopaz.com’s Frances Amper Sales at the launch in Makati City, Manila, Philippines. Stelvin Tham, Human Capital Management Specialist, has been promoted to become the Regional Vice President of Operations for Tickled Media, the publisher of Asia’s #1 parenting portal, theAsianparent.com. Stelvin played an instrumental role in the set up of Tickled Media Thailand’s operations as General Manager in January 2013. Within a year, he single-handedly built up the Thailand office which now employs over ten people and proudly connects with over 600,000 mums across the country. With an extensive knowledge of the Singapore and Thailand market, Stelvin brings over 7 years of working experience in Asean tech startups, successfully managing cross-cultural teams. His comprehensive specialties include organisational development, employment relations, succession planning, performance management, training and development.